Have a job to do that requires you to reach into tight, confined spaces? 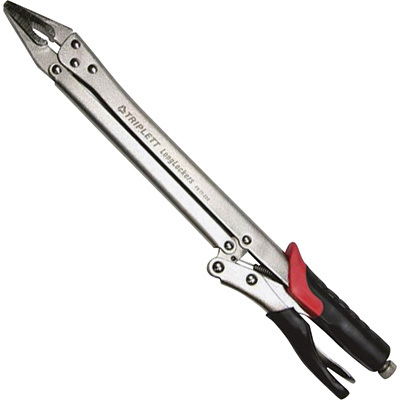 No worries there with a pair of LongLocker Extended Reach Locking Pliers from Triplett, reaching as far as 15” alone. Made from durable, heat treated, high carbon steel, with drop-forged jaws and a rust resistant finish, these lockable pliers are truly a superior quality product. Designed with needle nose, curved jaws, Triplett LongLockers can easily be used in small areas to grab tiny and even round objects, without risking damage or abrasion. Locking into place, and able to be unlocked with an easy release lever, Triplett LongLocker pliers are good to go in moments. The jaws on this tool can open as far as 1.81” wide for a number of applications; just use the thumbscrew adjustment to change their size and gripping pressure. Their non-slip handles are cushioned to fight fatigue while on-the-job, making repetitive motions easier to deal with throughout the day. 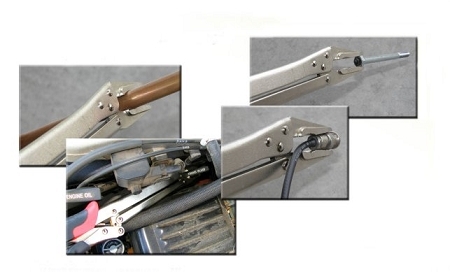 With LongLocker Extended Reach Locking Pliers, it’s time to get to work!